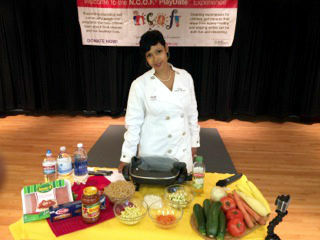 Chef Nikki Shaw is committed to spreading awareness of and combating childhood obesity. Nikki is a featured chef and spokesperson for the California Department of Public Health's Network For a Healthy California & Champions For Change campaign and featured chef for the L.A. Lakers official NBA website, offering information and recipes to help prevent childhood obesity. Nikki graduated with honors from Howard University in Washington D.C. with a Bachelor's degree in Journalism. She graduated as a chef from Southeastern Culinary Academy and completed her internship at Disney World in Orlando, Florida. Nikki has participated in the ® PlayDatesTM in San Jose and Los Angeles, CA during 2014-2016. She has been instrumental in spreading the ® healthy eating and cooking messages to parents, grandparents, and children alike. She looks forward to the national ® PlayDateTM Tour of the U.S. and Canada. Chef Nikki is also an advocate/speaker for the American Diabetes Association, an expert contributor for the Warner Bros. momlogic.com website where she writes food and family related articles and publishes recipes. Chef Nikki has appeared on Food Network as a finalist on The Next Food Network Star: Season 3 and several other popular reality TV shows and specials. Brian K. Shaw was the Head Coach of the NBA Denver Nuggets from 2013-2015. Earlier he was the Associate Head Coach of the Indiana Pacers. Even earlier, he spent six seasons (2006-2011) on Phil Jackson's coaching staff after serving as an assistant to Frank Hamblen during the second half of the 2004-05 season. He played in the NBA for 14 seasons as a point guard. Brian has won three NBA championships as a player and two as a coach. Brian retired from professional basketball as a player and became an assistant coach for the Los Angeles Lakers. Prior to his joining as an assistant coach with the Lakers, Shaw spent two seasons with the Lakers traveling throughout the country as Assistant Director of Scouting, evaluating talent and providing essential scouting information for Lakers management. Before joining the Pacer and Laker front offices, Brian played four seasons with the Lakers (1999-2003), helping the team to three consecutive NBA Championships (2000, 2001, 2002). A 14-year NBA veteran, Shaw was originally selected by the Boston Celtics in the first round of the 1988 NBA Draft (24th overall). During his NBA career, Brian played for the Celtics, Miami Heat, Orlando Magic, Golden State Warriors, Philadelphia 76ers, Portland Trail Blazers, and Los Angeles Lakers. With career averages of 6.9 points and 4.2 assists, Shaw announced his retirement on September 24, 2003 after having played in 943 regular season and 127 playoff games. A point guard at the University of California Santa Barbara, Shaw's #22 jersey was retired by the Gauchos after being named Pacific Coast Athletic Association Player of the Year (1987-88) while becoming the first point guard in PCAA history to lead the conference in rebounding and setting a team single season record for assists his senior year. In addition to having a retired jersey and three championship rings, Shaw also was given his own day when his hometown city of Oakland declared August 10, 2000 "Brian Shaw Day." 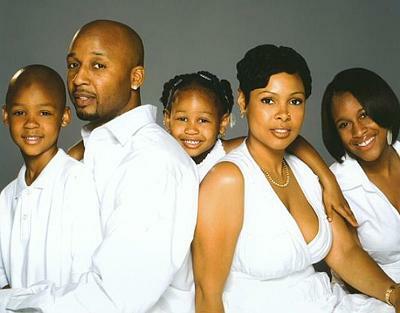 Brian and his wife Nikki live in Oakland, CA with their three children, Brianna, B.J. and Bianca. Brian and Nikki Shaw have been best friends for 25 years, and happily married for over 15 years.